When you think social media, Facebook undoubtedly comes to mind. It provides a variety of ways for local retail shops to connect and engage with their existing and future customers. 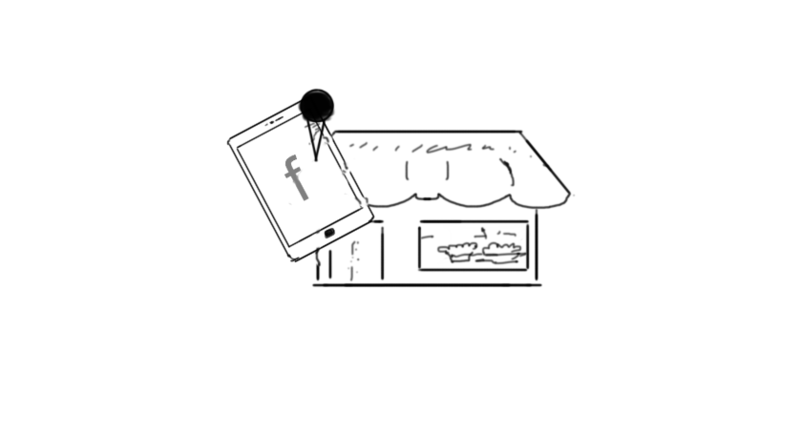 In this article, we will talk about some of the things to remember with Facebook marketing if you are using it to generate more in-store foot traffic for your local retail shop. If you are looking for utilizing Facebook Ads, don't underestimate its capability to reach your target audience with extremely pin pointed accuracy. Many marketers who are used to of digital advertising via Google Adwords assume that Facebook Ads would work the same way; And they are wrong. Facebook Ads allow you to focus on actual customer personas and can be highly targeted. For your local retail shop, the last thing you want is spend your limited and precious marketing budget on people who'd never be able to come and buy from you just because you are so far out of their reach. Facebook is about engagements and conversations. It's not a yard sign or a billboard. People go to it to have a conversation more than to read material/information. As a local shop owner, you should be utilizing Facebook to become part of your customer's lives, know them intimately, and help them out in ways that builds trust and comfort – be their friends! Isn't that what Facebook is all about? As a local retail shop owner, you probably have a lot going on already. Last thing you want to do is spend your precious time Facebooking! Due to this, many retail shop owners outsource their social media marketing effort. But unfortunately, most social media marketing providers focus on billboard/messaging style marketing – which doesn't create any engagement or connection with your customers. So, find local social media experts, interview them, and look at their marketing style before giving them a long-term contract. Remember, it does require someone's time and effort to do it right; So be ready to shell out some money. But think of it from value perspective. What value are you generating for your customers via this effort? And what kind of return you can expect? If done right, Facebook marketing should be able to produce five to fifteen times the results in terms of the dollars you are going to spend.